16 days in New York, Mercedes Benz Fashion Week, 6 floor walk-up, 3 floor walk-up... pushing, pulling, and dropping over 1000lbs of jewels, clothes, props, swag, ice, and beverages. 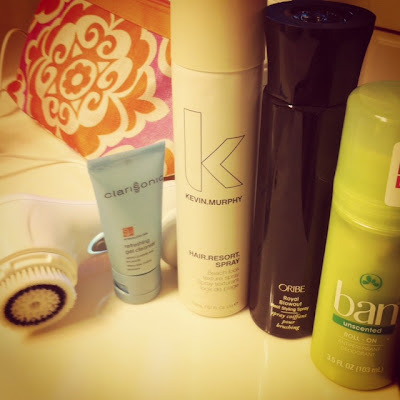 Ban Unscented roll-on helped me keep the stinky away...not much help with the cranky. I relied on two new products for my hair, and I am in LOVE. Oribe Royal Blowout :This ultra-lightweight mist smoothes even the worst-behaved mop while speeding dry time. Kevin Murphy Hair.Resort.Spray: Get "a day at the beach hair" with this fragrant volumising beach hair spray. Honey, Citrus and Tangerine top notes. Clarisonic Mia: I enjoy regular microdermabrasion and chemical peals at home, and then maintain that dewy fresh look on the road with my Clarisonic. is my new go to intensive moisturizer. 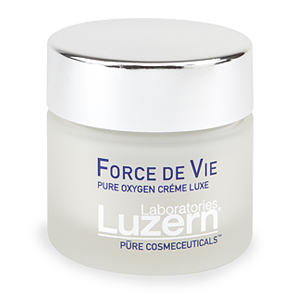 During Fashion Week we attended several events, and loaded up on tons of great swag, Force De Vie was may absolute favorite! Do you get special treatments to maintain your skin? Please share, I need all the help I can get.